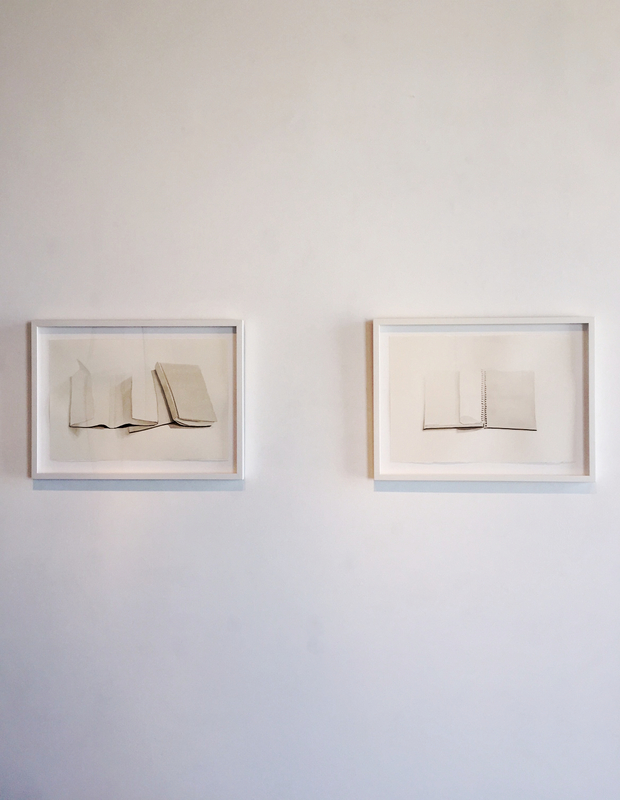 Sarah HaBa’s Books series explores the archives of memory-painted blank for memories lost, painted full of desire for what must be chronicled but is out of reach. Book covers are thrown open, pages stilled to reveal nothing; flaps of children’s pop-up books are taped open to reveal emptiness; tabs mark nothing. The irony of the blanked-out books is balanced by the delicacy of the paint. Layers of washes combined with tiny detail hold the viewer’s attention. Whether painted in acrylic or watercolor, she works to create an efficiency of stoke that describes just enough of the object. The books are painted from a slightly tipped vantage point and at a distance that makes them touchable, readable. But without the function, only form remains. The paradox, of course, is that we live in a time where the form of the book itself threatens to slip into memory. The paintings are a deliberate attempt to hold on to ephemera.